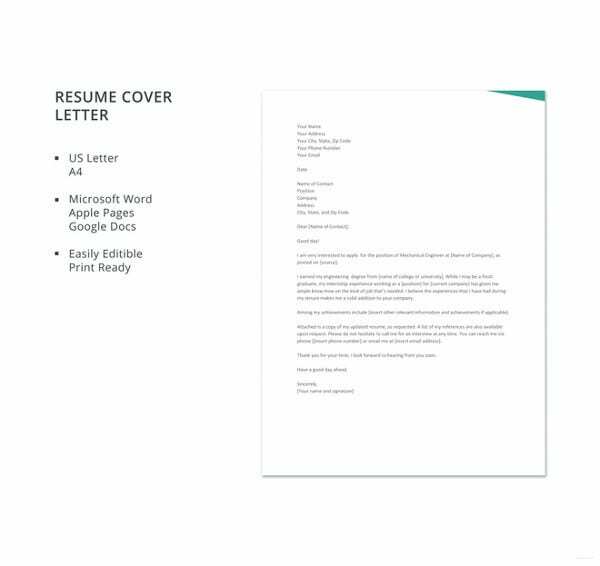 For most jobs, regardless of the field and the educational background of the applicant, the standard Cover Letter Format is followed. 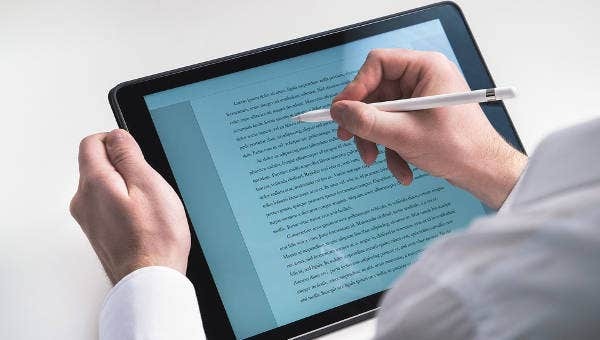 If you are unsure about this, you can simply search for it on the internet where there is an abundance of samples or you can simply make use of templates to save you the hassle in writing one from blank. The idea of writing a cover letter has already been brought up to us as early as we were still in school in preparation for our next stage in life after we graduate from college. 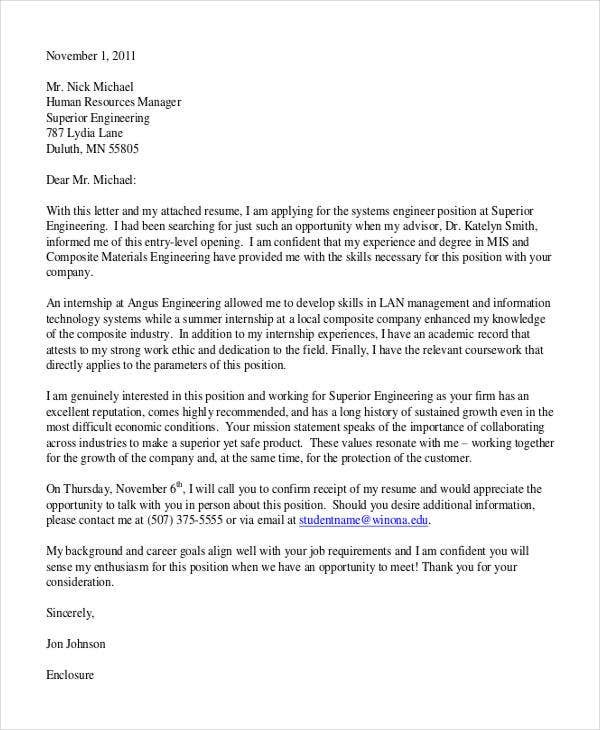 Only when we start looking for internships and actual jobs will we be able to apply what we have learned and really make the most to impress employers with our cover letter template. 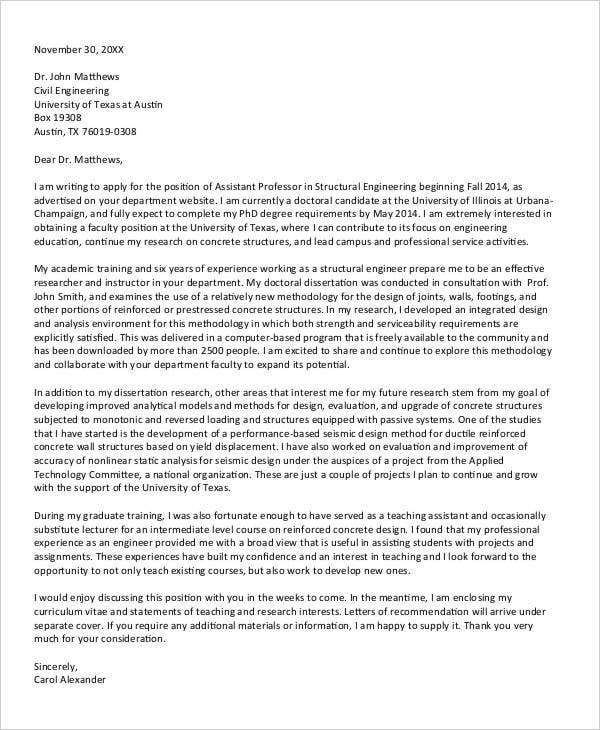 Like most cover letter samples, start by writing the contact information at the top area of the letter followed by the salutation below it. After informing the employer that you want to apply as a software engineer in their company, state your educational background and your experience in the field. You may also share some success stories, accomplishments, and certifications to further sell you to the employer. Ensure the employer that you will be able to contribute to the company with your knowledge and skills. 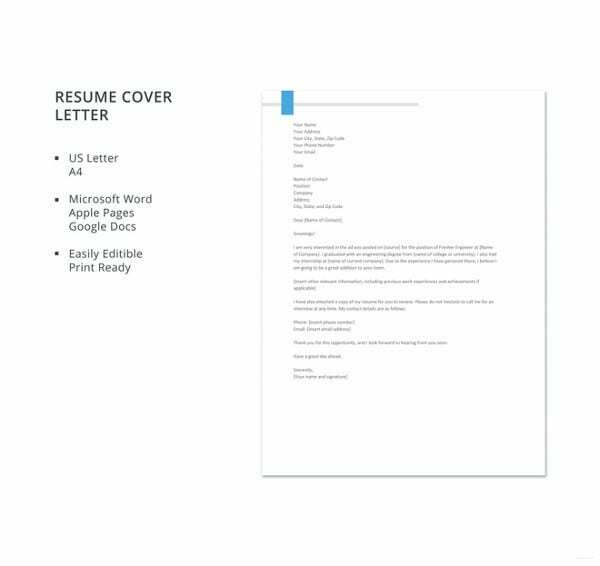 For more samples, you may search for Cover Letter Templates in Word using the search tool or you may simply click on Job Cover Letter Templates. 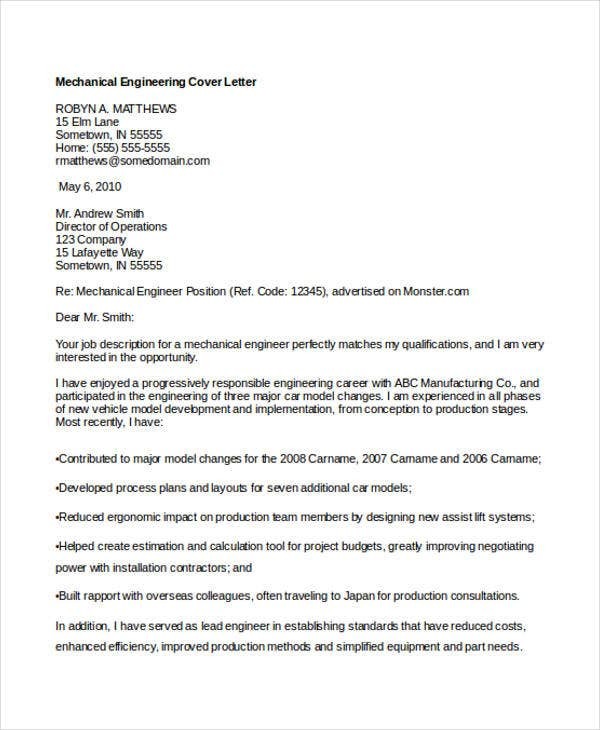 What Do You Need an Engineering Cover Letter? 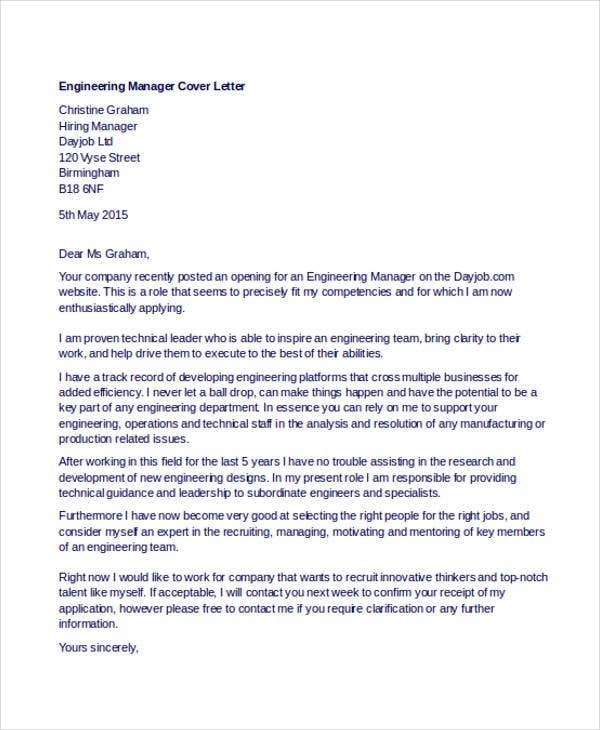 The cover letter speaks to the engineering employer that you want to work for them in their company. 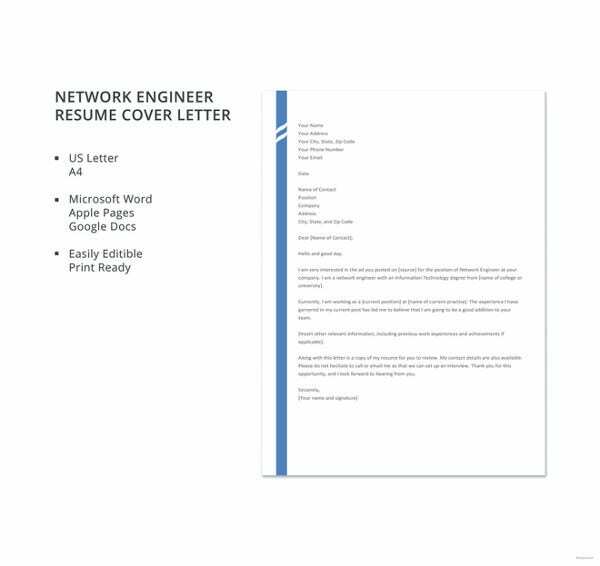 The cover letter gives the candidate with a chance to express their skills and experiences in engineering to convince the employer they should be chosen for the position. 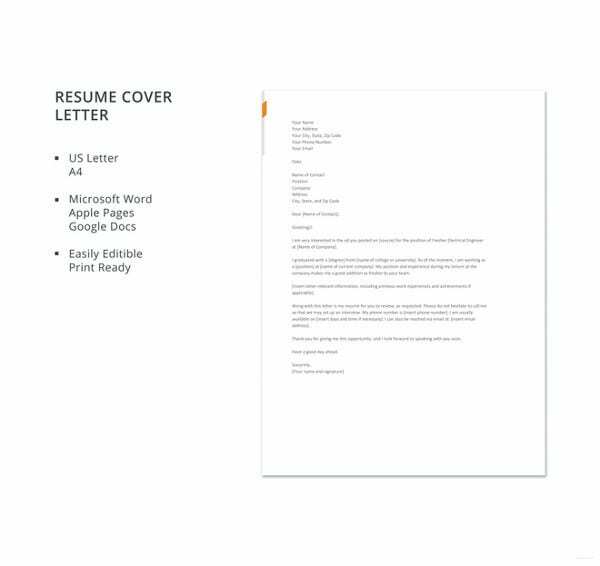 The cover letter provides the employer with an idea on who you are even before they can start scanning your resume. To learn more about the job cover letters, you may check out our collection of Entry Level Cover Letters. What Are the Qualities of a Good Cover Letter? 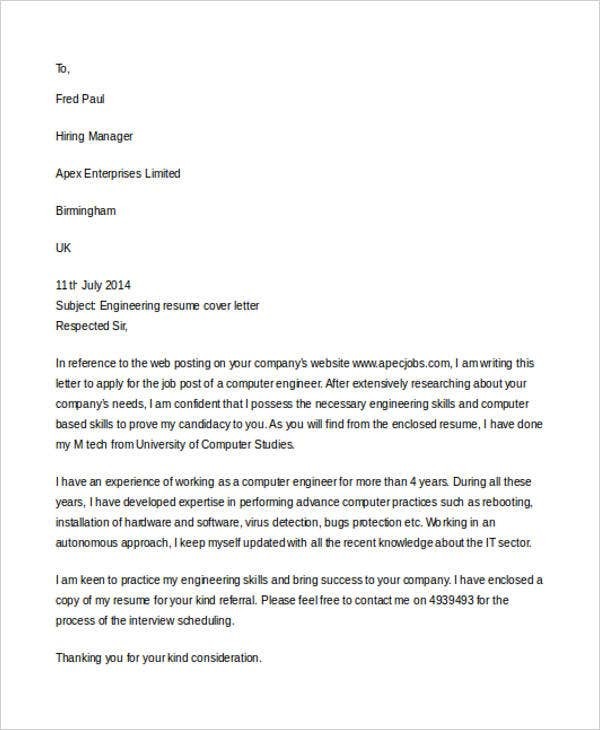 A good cover letter example is personalized and targeted to suit the position you are applying. It is strongly discouraged to send a generic cover letter to different companies and different positions. 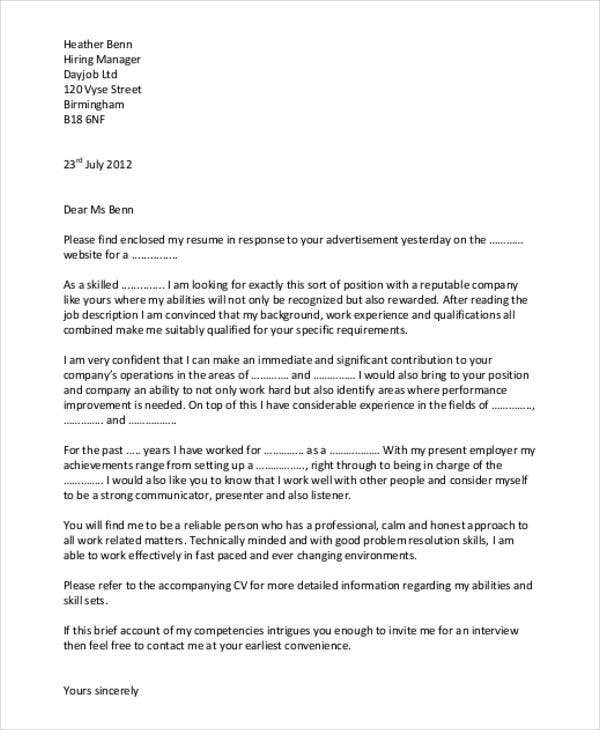 A good cover letter addresses the reader by name. While there are often times when an employer is kept anonymous, it is always best to get their name in advance so that they can be addressed directly on your cover letter. 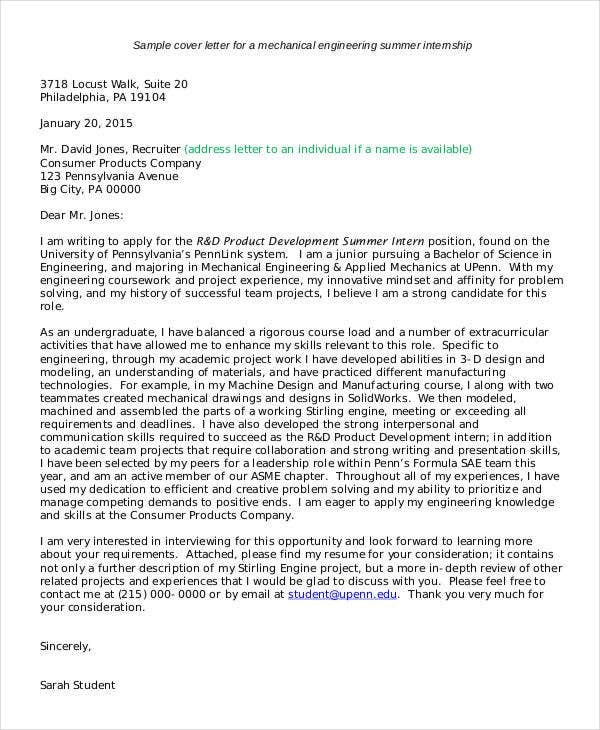 A good application cover letter is simple, direct, and easy to understand. The words used should be simple and clear, and the structuring of the sentences should also be simple. A good cover lettter has an effective call to action to convince the reader to reach out to you anytime after reading your cover letter. 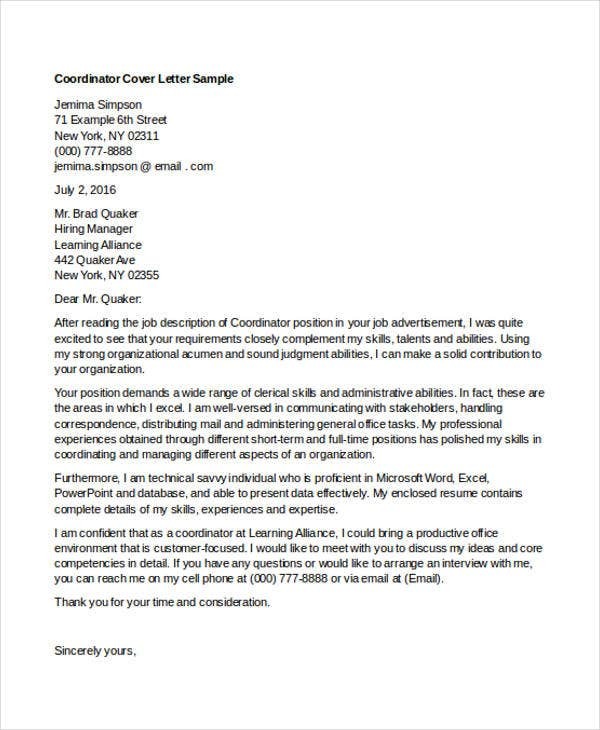 For sample cover letters in the Microsoft Word format, you may also check out our collection of Word Cover Letters.